Do you find soap scum all over your sinks, bathroom and shower? Does it seem like soap and shampoo aren’t really working right, leaving you still unclean? 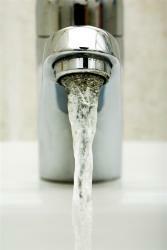 Is the water in your pipes flowing slowly, as if something is blocking it? If hard water is a problem in your home, don't worry. Marino's Waterworks, can install a water softener system in your home that reduces metals and hard ions in your water, leaving you with cleaner dishes, brighter clothes and softer skin. Marino's Waterworks's talented staff of water filtration experts will guarantee that your system and filter are in proper order and make sure that the water in your home is as soft and effective as is possible. Our complete water softening system includes all tanks and components as well as our excellent warranty on all parts. Say goodbye to hard water, call Marino's Waterworks today.